I’ve worked in the motor industry for 14 years, 12 in my current role within a group of dealerships recently purchased by Lookers PLC. And yesterday, on their Facebook page, they shared this very interesting and inspiring article about the Marketing Director, Heike. The article very much struck a chord with me, given I’m one of the minority of females working in this stereotypically, male dominated industry, and have a keen interest in gender equality as a result. While it’s fair to say that society has made great strides in the area of gender equality, recent high profile stories in the media have highlighted the fact that there is still much work to be done. It’s also fair to say that some industries have more ground to make up than others, with the motor sector in particular having to work harder to turn around its reputation as an industry that is male dominated. 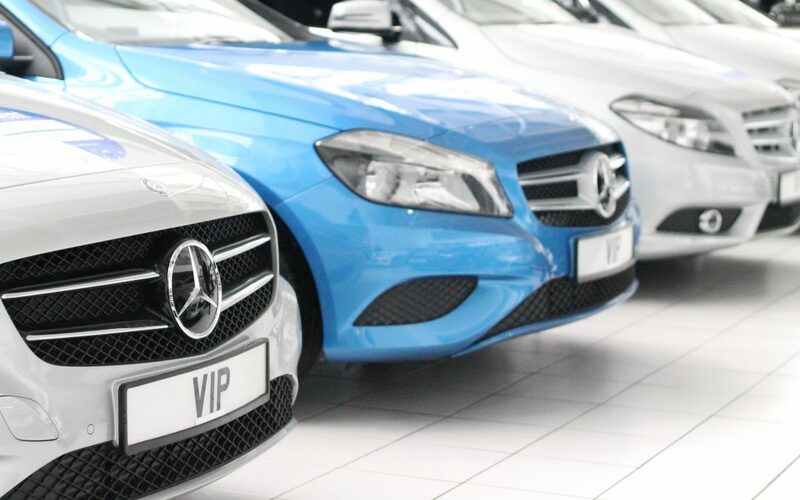 In the 7 strong group of Mercedes-Benz dealerships I work within, only 3 of the 33 site based operational Managers are women and a handful fill positions in the array of other operational on-site, front of house roles within the Sales, Service and Parts departments, with some site departments having no representation at all. The big question is, is this down to discrimination? I don’t believe that’s the only factor, if at all a factor indeed. I think it’s largely down to history. To the preconception that this is a male industry and women are simply not putting themselves forward for the many, many opportunities the industry can offer. And I absolutely think Heike is right – and it’s a subject I’ve talked about before – women just don’t shout up and celebrate their achievements enough, meaning they are, at times, possibly being overlooked as a result. On top of that, Managers in the motor industry have generally started in the operational roles, working their way up to the Managerial positions unlike other industries where Managers move across sectors or are recruited straight out of University. And some of those motor industry operational roles – vehicle technician, for example – may never be attractive to women. So what’s the answer? The solution lies neither in draconian pay cuts nor in catapulting females above their abilities. Instead, we need to re-evaluate how all of the business functions create value and to actively recruit mixed gender teams in all of our functions. This needs to start with the apprenticeship schemes and move right up to the boardroom. In a bold, and to some controversial, move, Lookers have recently updated their benefits by including 12 months full paid maternity leave. Yes, you read that right. 12 months on full pay. At work, Lookers actively fosters a diverse team culture with a focus on work/life balance: we have an apprenticeship scheme aimed at girls, offer above industry-standard holidays and a full year of maternity pay. Ernst & Young have recently worked out that it would take 170 years to reach gender parity organically. At Lookers we are committed to accelerate this process considerably and have pledged to fill 30% of managerial roles with women by 2030. Time will tell whether these new initiatives will achieve the desired result but I, for one, think any move to encourage more women to pursue roles within previously male dominated industries can only be a good thing. To shine a light on industries and roles women may not have ever considered before. To slowly and surely reduce the “his” and “hers” jobs. To remove the perceived glass ceilings. In the motor industry specifically, I also think looking outside of the industry when recruiting operational management teams could also help. Women want to be chosen, promoted and nurtured based on merit and merit doesn’t mean that women simply become men. I think that we need to redefine merit and acknowledge that skills like empathy, collaboration and creativity are additional assets in a diverse business centre. However, the rise of women doesn’t mean the fall of man! Do you work in a male dominated industry? Or are you a male in a female dominated industry? What are your thoughts? Try being a female surgeon!! I am constantly called ‘nurse’ ‘pharmacist’ and worse….’darling'(!!) by patients. Despite an increased number of female surgical trainees people are still surprised to see a female surgeon! Yep. There are plenty of professions with a long way to go for sure. The good news is there are increasing numbers of females moving in to the industry. Just need society to come along and join the 21st Century, getting rid of their assumptions regarding certain job roles.